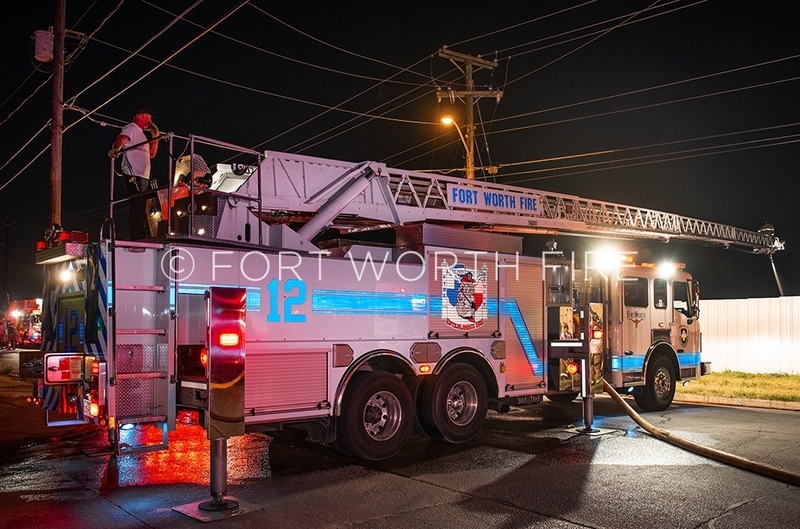 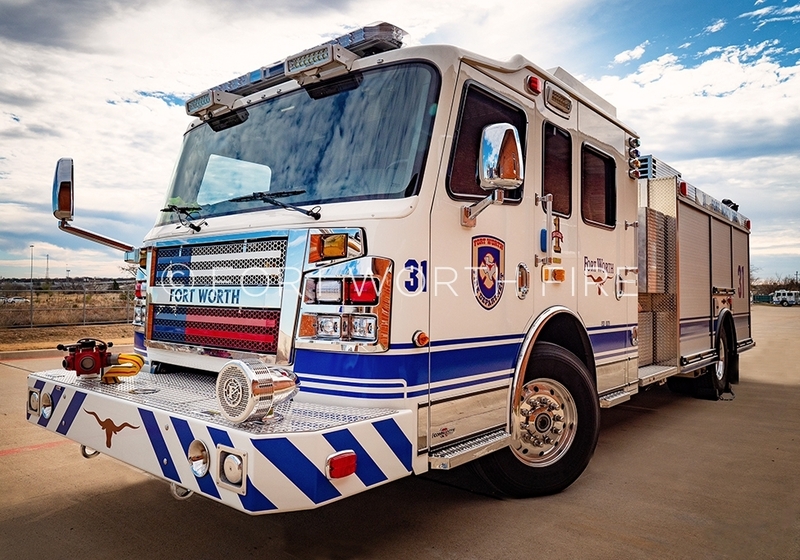 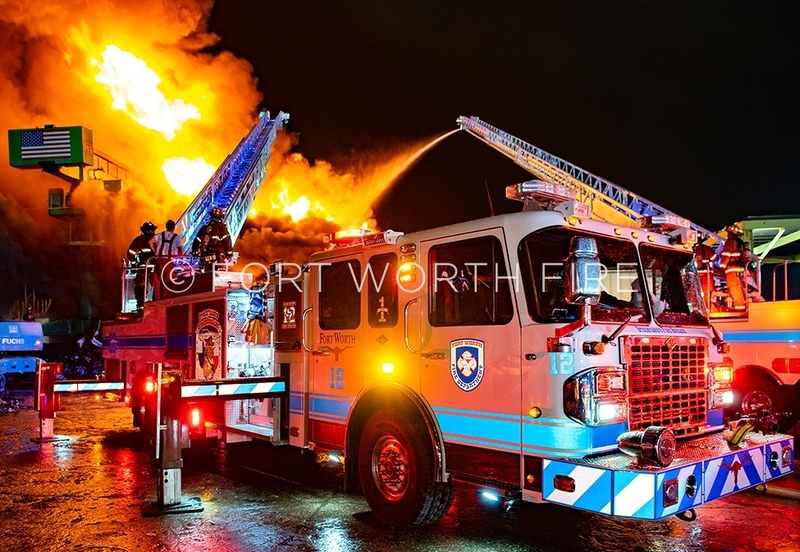 Quint 12 sets up at a commercial buillding fire. 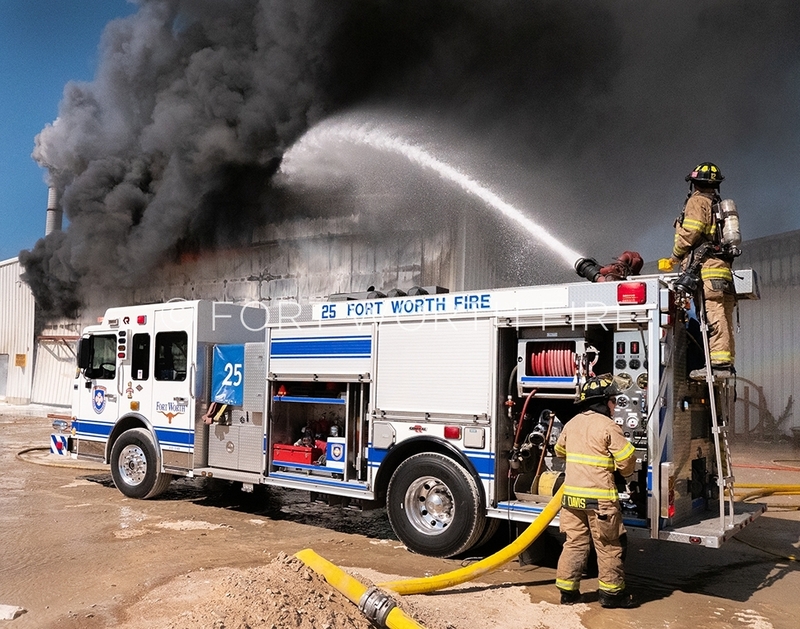 Engine 25 serves as the manifold engine during a commercial building fire. 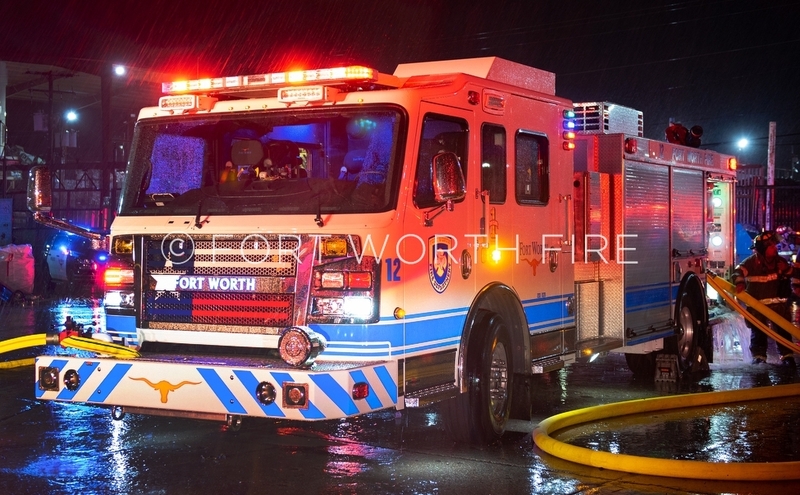 Quint 17 operates at a multi alarm fire at sunset on Fogg Street. 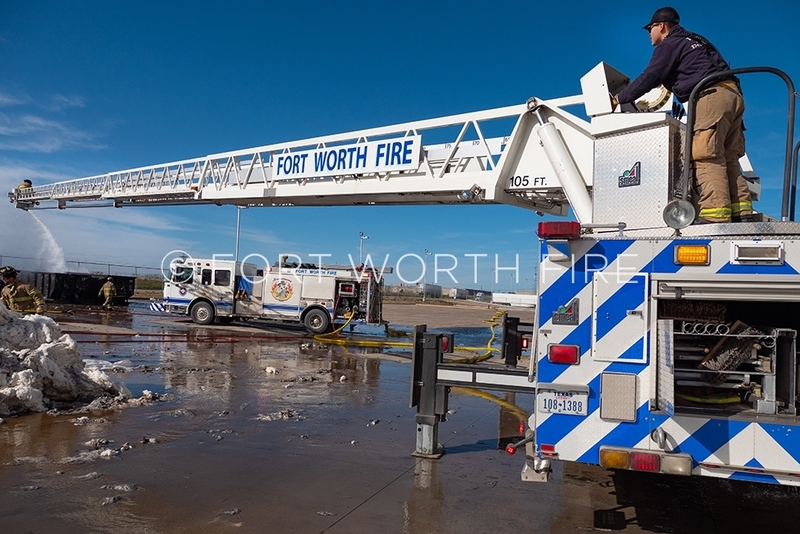 Alex Cacho directs Quint 17 during an extended overhaul operation. 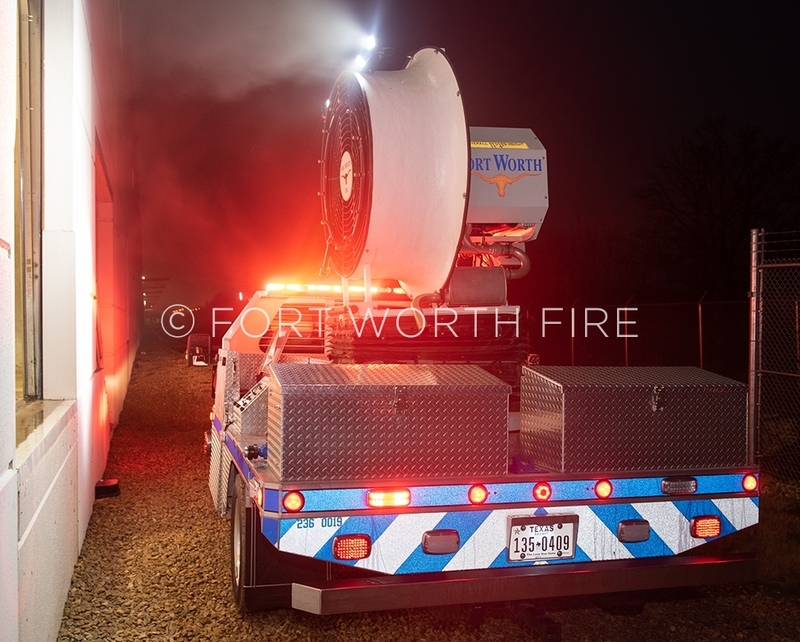 Large PPV fan in use during a warehouse fire with burning contents. 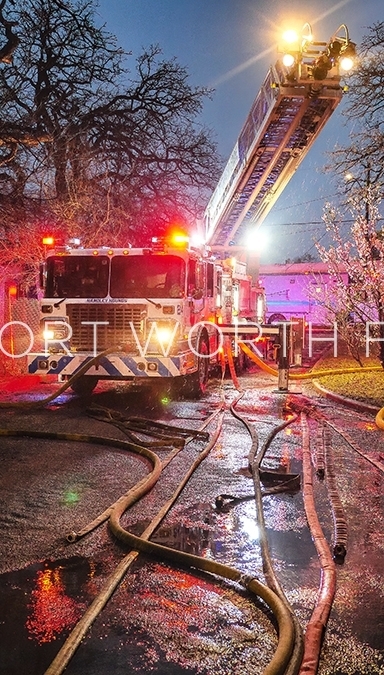 Quint 24 operates at an apartment fire on Dallas Avenue. 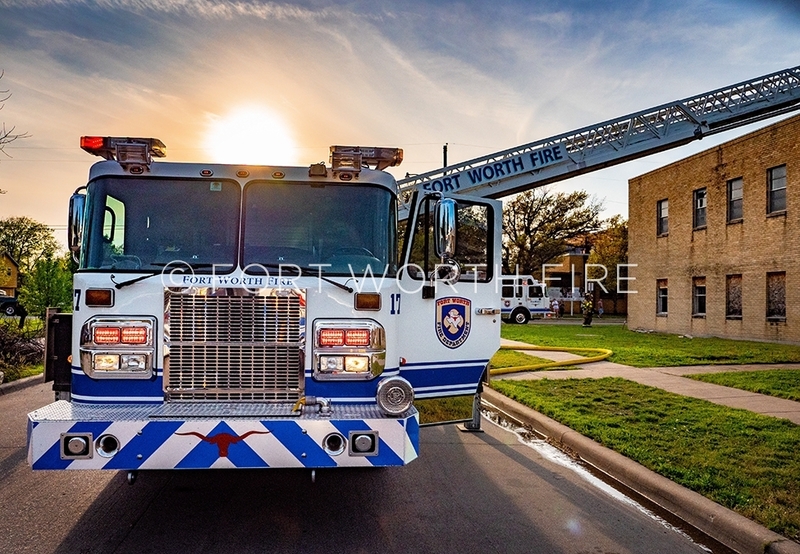 New engine deliveries for 2018. 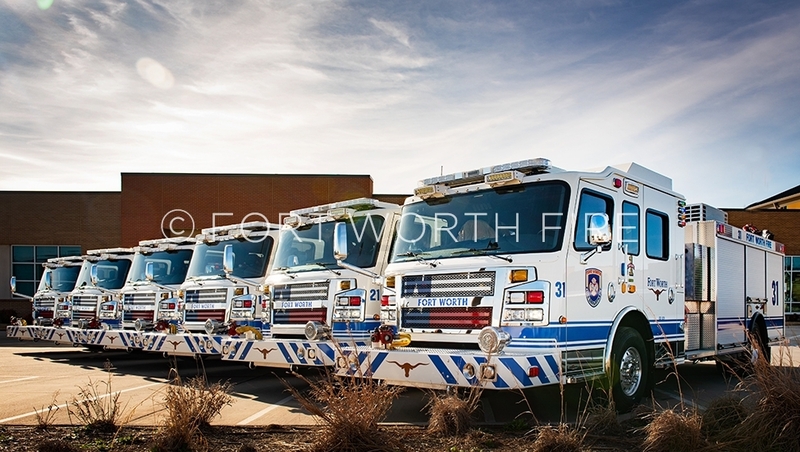 New truck deliveries for 2018. 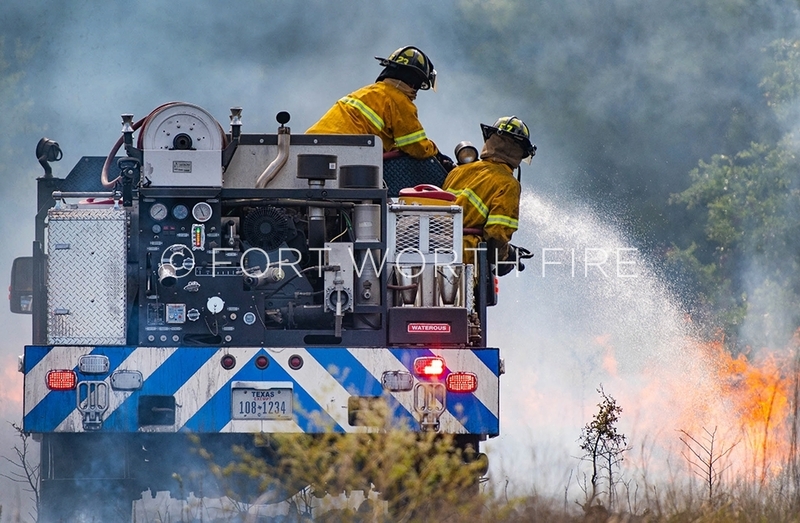 A brush truck at a fire on Old Granbury Road. 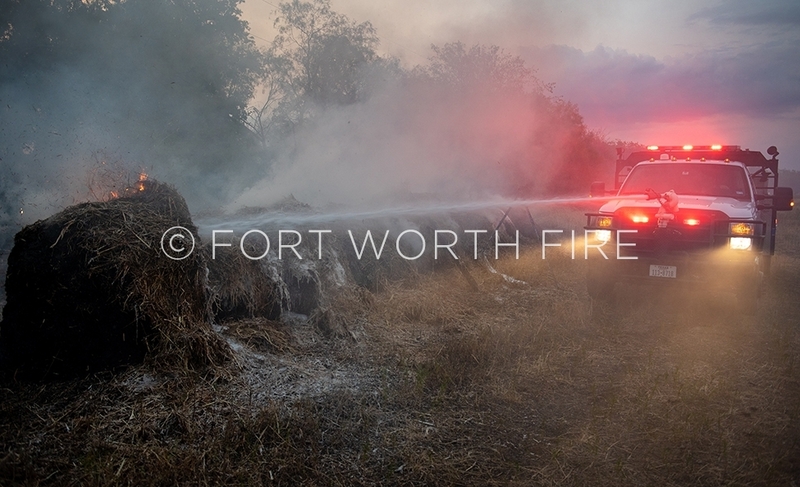 Brush 25 operates at a grass fire on Old Granbury Road. 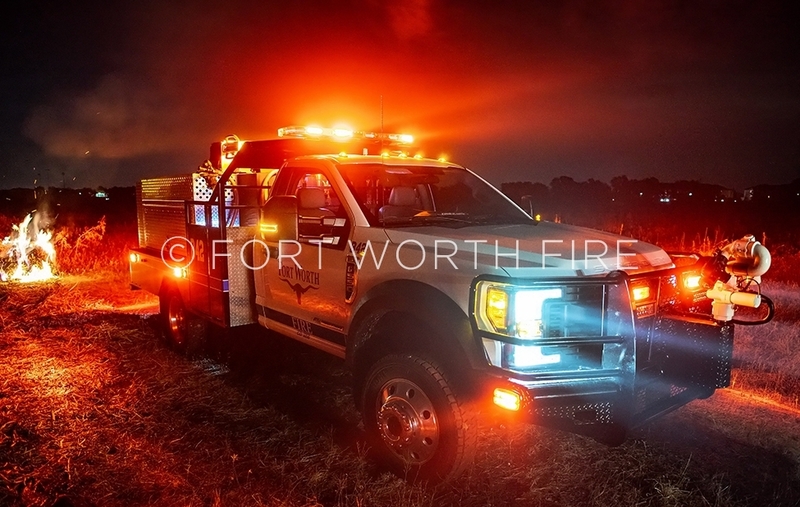 Brush 22 works at a 3 alarm grass fire in the 7900 block of Old Granbury Road. 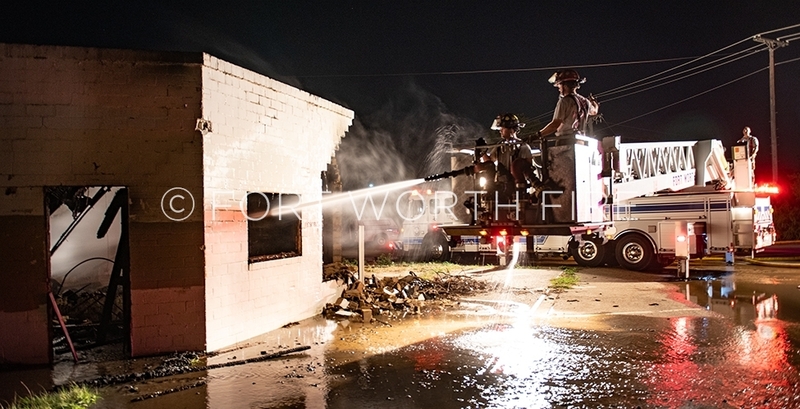 Captain Steve Larrison on Truck 1 is used at a low angle to overhaul a vacant commercial building fire on N. Main St. 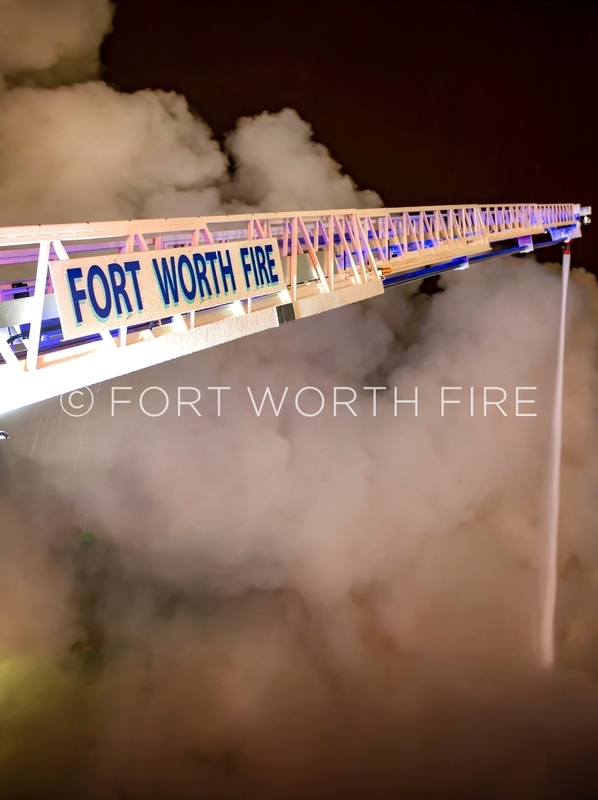 Smoke shrowds a working Quint during fire. 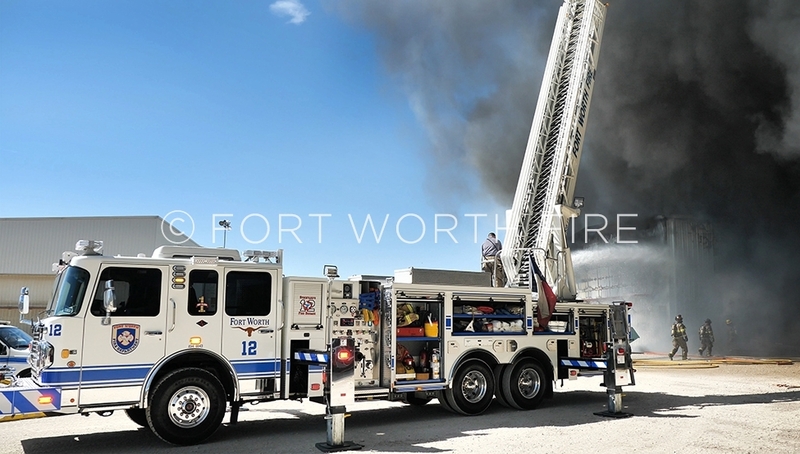 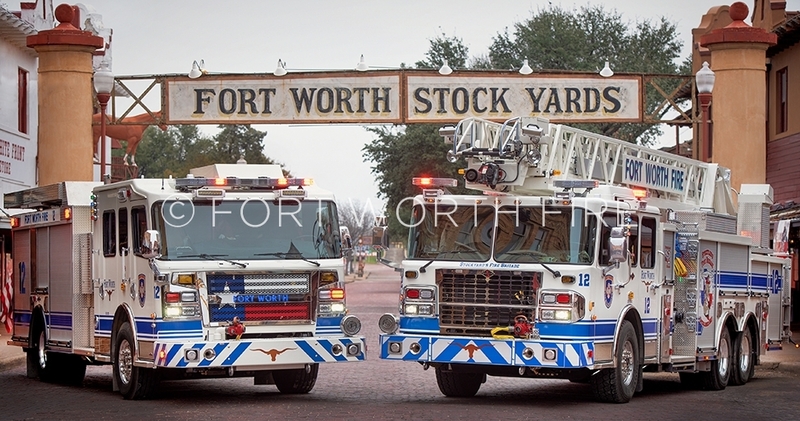 Quint 12 and Quint 9 working in tandem during a scrap metal fire on 38th Street. 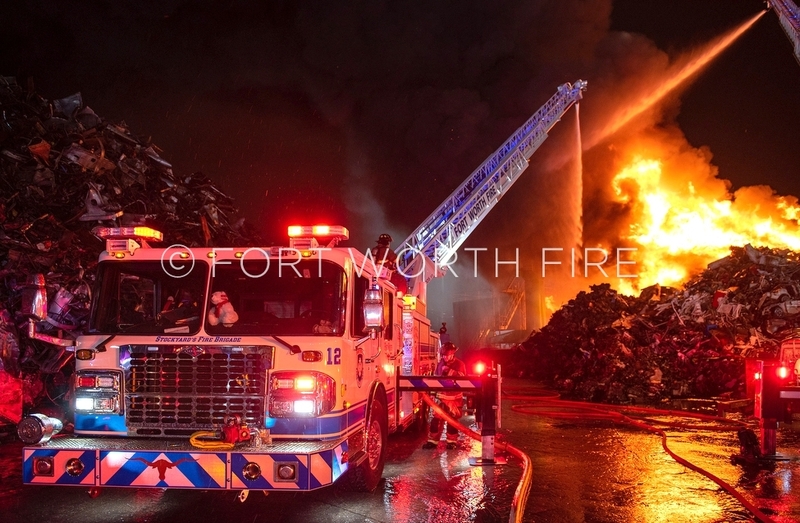 Engine 12 working at scrap yard fire. 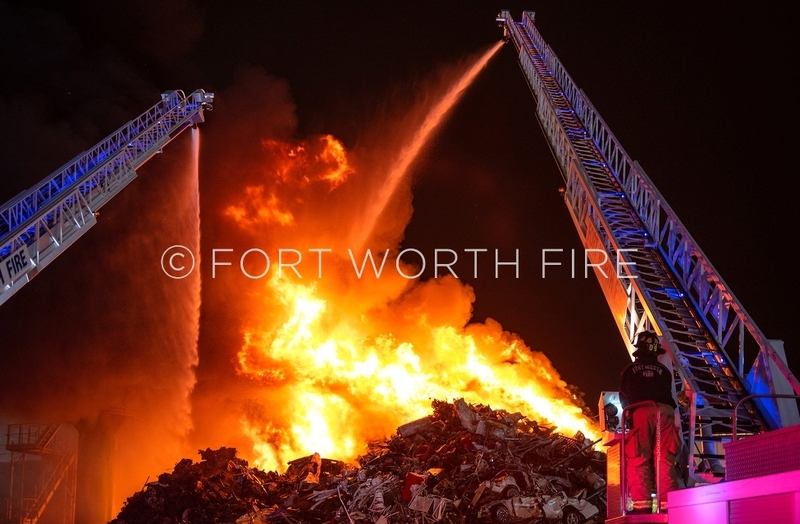 Captain Steve Larison in Truck 1 works at a fully involved scrap metal pile. 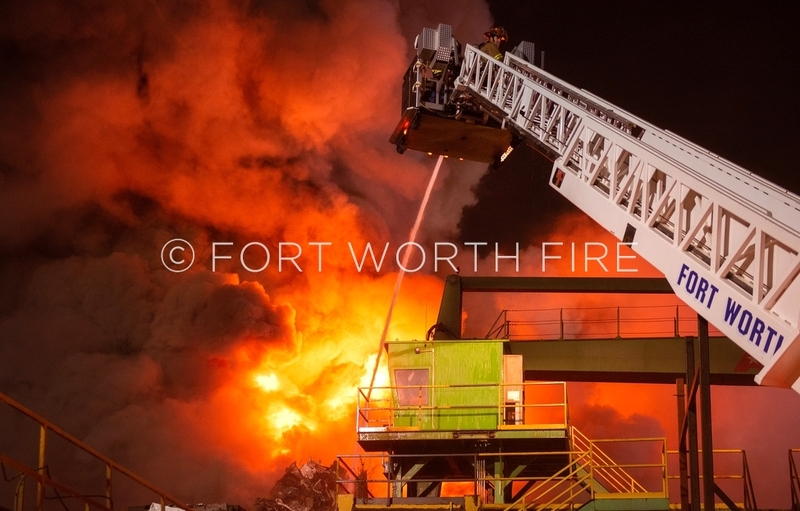 Quint 12 operates at a fully involved scrap metal pile. 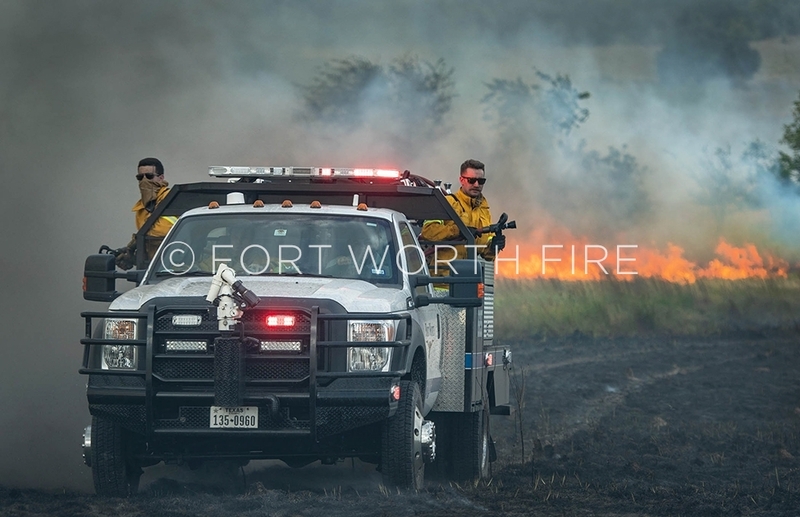 Brush 42 at its inaugural grass fire. 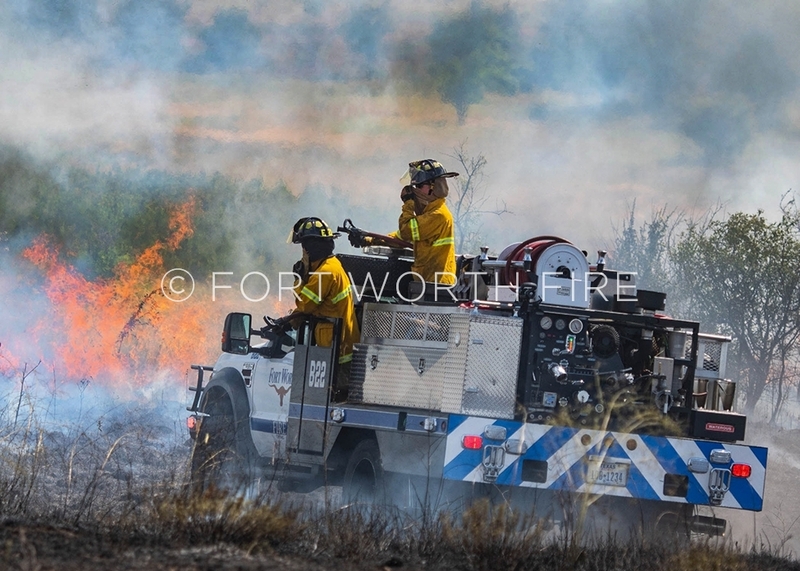 Brush 36 works some hay bales during a large grass fire on Oak Grove-Shelby road. 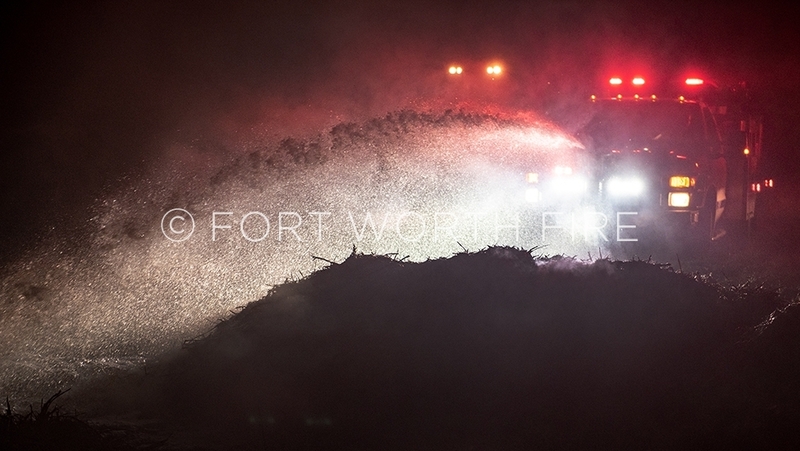 A brush truck uses the front turret to foam the remains of a large hay fire.